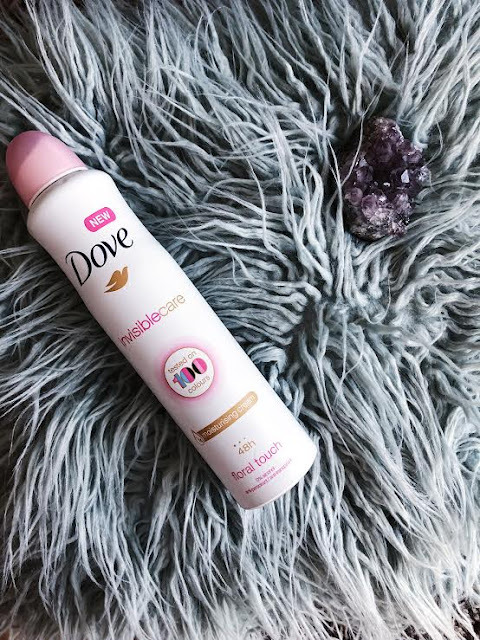 Beauty: Dove Invisible Care Floral Touch Deodorant - Daisy Chains. This is probably going to be one of the shortest posts I ever make but I recently found this on offer in boots and the only thing I could think was 'Wow' where has this been all my life? I have been super put off aerosol deodorants for ages probably because every time I have some I go HAM spraying everything with them. However, when I saw this on offer in boots, I thought you know what I might give it a go again. This smells absolutely fantastic!!!! I can't even describe the smell... whilst it says it smells floral, the only way I can describe how this smells is that it kind of smells like clean laundry? Which is by far the king of smells. Whilst I wouldn't personally leave it up to over 24 hours before showering and reapplying this, the deodorant does do it's job and doesn't go weird in the day. It also is invisible and unlike many other deodorants I've used, I've had no problem with this product showing up on darker clothing.